Quality in a music program is dependent on a high rate of returning students and a reliable feeder network. With many courses competing for the same students, recruiting enough students to keep instrumental and vocal programs healthy is essential. It is the educator’s responsibility to sell students and their parents on the value of signing up for an elective course in music. 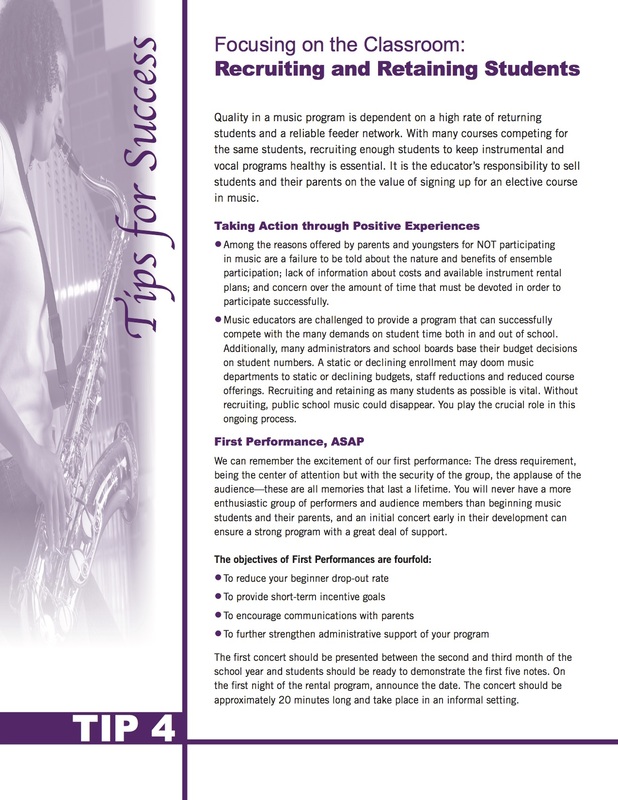 Take a look at these tips for recruiting and retaining students into music programs.